We Look, & Think Ahead. At FDG we provide a custom, forward-thinking blend of insights and expertise for each client. Industry-specific insight provides the critical thinking & training required to bolster your digital efforts. And THE RESULTS ARE PROVEN. 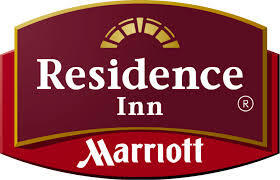 Brought on in fall 2014 to provide renewed digital marketing & e-commerce strategy for a large hotel owner/management company with over 45 Marriott, Hilton & Carlson Rezidor properties - with installed F&B & entertainment venues. Align the holding company's internal staff, the properties' yearly budget, & build digital readiness & revenue capabilities across EXTENDED-STAY, SELECT-SERVICE & FULL SERVICE hotel brands. Redefine & execute cross-channel digital foundation-building & revenue growth for each property a) INDIVIDUALLY, b) as a SPECIFIC HOTEL brand, & c) as a part of an UMBRELLA HOTEL brand. Provide a quick-turn digital marketing & e-commerce PROPERTY LAUNCH STRATEGY for a large hotel ownership company's opening of its first Hyatt & Starwood properties. Build COLLABORATION across hotel brand teams, the holding company's staff, and the property staff around extensive digital requirements across both parallel and rolling timelines. Develop a comprehensive, REPEATABLE CROSS-CHANNEL property-opening strategy. FDG's repeatable processes provided seamless digital marketing & e-commerce preparedness for both the HYATT PROPERTY LAUNCH as well as the launch of STARWOOD ELEMENT & ALOFT properties on the Microsoft campus in Redwood, WA. Brought in by Atlantis's AOR, develop pre-and-post vacation online product & service purchase-driving strategy for Atlantis guests. Explore options across disparate websites, user experience journeys & technology platforms. Help Best Buy drive increased USER-GENERATED FILM CONTENT for their partnership with Spike Lee & his philanthropic non-profit youth filmmaker outreach vehicle, MOFILM. Convert aspiring filmmakers' costly equipment purchases to Best Buy. Find this highly nuanced audience where they already were—specific social media channels, at very specific times. Speak to them in THEIR language: present a film competition, not a "contest." Great Products for the Great Lakes. A singular MADE IN DETROIT, INLAND PADDLEBOARD BRAND looking to find their voice in the digital space. Compete with known big-box retailers & coastal brands supplying "all purpose" paddleboards. GO EXTREMELY HARD, & GO "HOME." 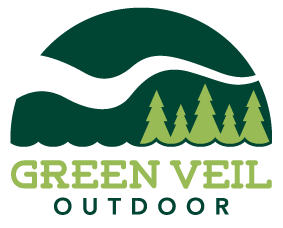 Friday Digital worked with Green Veil's founders to ensure that their digital channels embody their own personalities: EXTREMELY LOCAL-LOYAL, intelligent, witty, & 150% invested in INLAND-LAKE paddleboarding. Drive SEASONAL AWARENESS & REVENUE for a top brewery tour company through digital channels. The Minneapolis-St. Paul area is currently one of the fastest-growing CRAFT-BREWERY cities in the U.S.
SHARE THE LIMELIGHT. By focusing on brewery partners, employees & tour attendees across digital channels, TCBT was able to garner highly increased organic reach & awareness of their unique tour offerings. In just two months, on Facebook alone, monthly impressions, & monthly engagement increased by over 100%. Monthly total reach increased by nearly 200%. Making Residents Feel At Home. Provide a COMPETITIVE DIGITAL-EDGE for a relative newcomer to the rental-home industry. Drive RETENTION & LOYALTY while ensuring an ONGOING PIPELINE for over 9,000 rental homes nationwide. *Results may shift from time of capture due to channel algorithms.